India Defeated by Pakistan in a World Cup Semi Final in Mohali. What history made. What performance shown. What drama seen. What scenes displayed. What jubilation experienced. Pakistan to take on Sri Lanka in a sub continental final on Saturday in Mumbai. Both teams will be playing in their 3rd World Cup Final having clinched the title once previously and the other time ended up as runners up. Which will it be this time? For now well done the lions in green. You have made us proud. It is a great occasion and one that will live in the memories of all Pakistanis who got to witness it! So near, yet so far. A successful and memorable World Cup campaign in many ways more than one comes to a heart breaking end with Pakistan defeated by arch rivals India by a margin of 29 runs in Mohali's second Semi Final. India book their place in Saturday's final against Sri Lanka. Pakistan only have their below par batting and undesirable tactical defensiveness to blame. Nonetheless, well played India and lets accept this defeat gracefully. We should be proud of what our team has accomplished when not many people gave them a chance. They have exceeded expectations and had some key highlights during the tournament to take pride out of. They made their mark on the globe once more and restored a sense of direction. So as a Pakistani fan/follower let's put this symbolically tough defeat into perspective and consider what could have been and what actually has been achieved in order to reach the climax stages. Let's not get down on ourselves without forgetting the good. Misbah Ul Haq-248 including 3 50s average: 50. 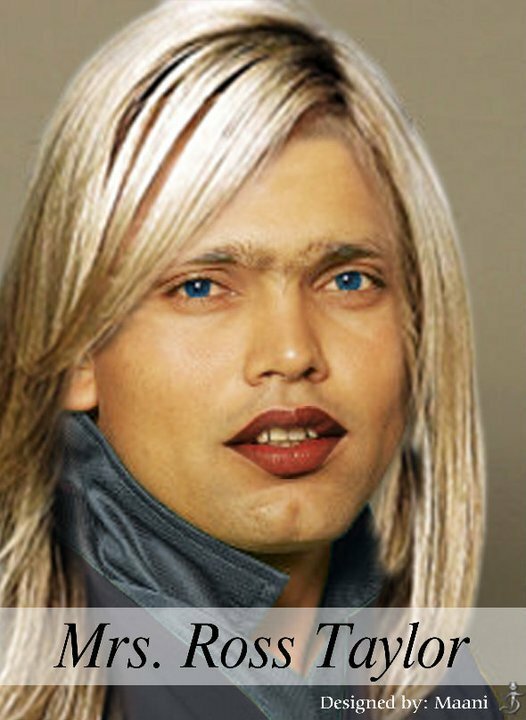 Umar Akmal-240 include 2 MOMs average: 48. There were so many calls for the youngster to be dropped at the expense of the speed star for the heavily hyped clash but the management decided against it and stuck with their emerging left arm fast bowler who had been part of a successful combination and featured in some fantastic wins. I personally stressed in my preview that the management were in the best position to decide on Akhtar. I would not have liked to see Wahab dropped as I rated him highly and he had been impressive in his short career. He had the pace, variety, heart and old ball credentials to knock over the best in the business and had been a superb find. As it turned out he was the star of the show which rose to the wonderful occasion and arguably should have also been awarded the MOM. The surprise package provided a sense of cutting edge to the attack and produced tremendous deliveries against a high profile batting line up in front of a packed house in Mohali and beyond. A performance to remember. A day he shall certainly not forget. He pulled the game back, got Pakistan into a winning position where they could effectively have taken the game away from the opposition and dismissed the dangerman (Yuvi) on his home hunting ground with a superb reverse inswinging yorker which shocked an excitable crowd. In my view Kamran, Hafeez, Asad all gave their wickets away with poor shot selection. The pressure was mounting on Younis and Misbah even before they arrived at the crease. You cannot expect them to do the rescue job time and time again. Playing catch up is not the way they operate. Either they should be able to command the game forward by batting higher up the order and stamp their authority that way or they should be used as seeing the game through and accumulating on a good start. They got caught in between where their effectiveness is nothing. Younis was totally out of sorts by his high standards and Misbah struggled, but he hung in there and battled through. Throughout the tournament there was a lack of innovation and aggression from the captain and management in the team composition and batting strategy which proved costly. Overall, this probably was the ODI swansong for both Misbah and Younis and we have to think towards the future. Throughout, the tournament they did well and were key for the success Pakistan experienced in reaching the final 4. However, they could and should have got 261 against India's bowling and the whole batting performance and mindset must be assessed if any post mortem reviews are to be held on the matter. As it stands Pakistan have lost their 5th World Cup Match against India. Yet to beat India on the big stage. They have been knocked out at the semi final stage for the 4th time in 6 occasions during Cricket World Cup history. They have never won a World Cup semi final against a team other than New Zealand. They have been knocked out in the semi final stages during ICC tournaments for the 3rd time consecutively to go along with defeats in the 2010 ICC World TwentyT20 Championship against Australia and 2009 Champions Trophy against New Zealand. The all Asian Final promises a lot and both Sri Lanka and India thoroughly deserve their places. From a neutral eye it should be an interesting and well matched up contest. From a Pakistani point of view, I guess there is something we can psychologically take out of regardless of the outcome. For example, if Sri Lanka wins we were the only team which defeated them during their campaign to glory. Likewise if India wins at least we can say we were defeated by the champions who were heavily regarded as hot favourites for the title by many pundits. It does not get any much bigger or better than this. One could not ask for more. 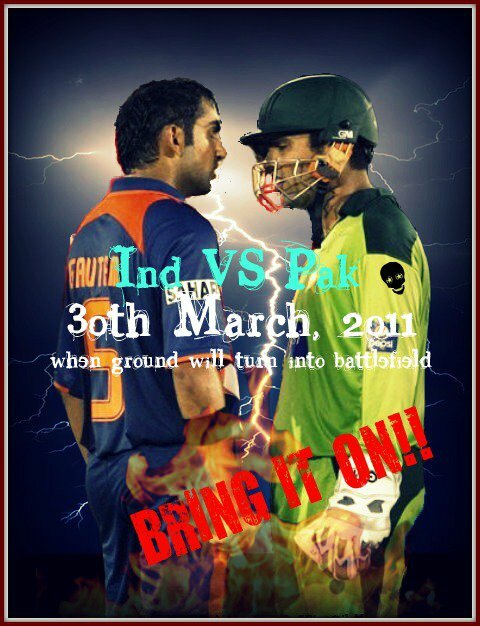 India vs Pakistan World Cup Semi Final 2011 to be played on Wednesday 30th March 2011. We Have Called It Here First! Gul will dismiss Sehwag . He just has to hit the back of length spot without giving him any room either side of the wicket. Mix that up with the odd really short one if he can get it up and a fuller one. Maybe the odd slower one as well. If this gets into his mind and Gully can get one to leg cut away from the right hander Viru will be founding wanting. Gul will need to be switched on and thinking one step ahead. He dismissed Gayle. Now we turn to him to silence the crowd by dismissing Sehwag. Can Pakistan's strike bowler do it? -Pakistan have beaten India both times they have played India in Mohali. Both times they successfully chased down the targets. 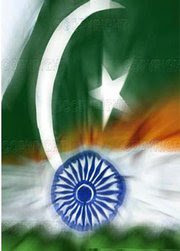 -Pakistan have played 6 one day internationals in Mohali and won 2. -India have played 9 one internationals in Mohali and won 5. -Sachin Tendulkar has the most runs in ODIs at the PCA with a best of 99. -Harbhajan Singh has the most wickets at the PCA with 9 scalps under his belt in 5 matches. 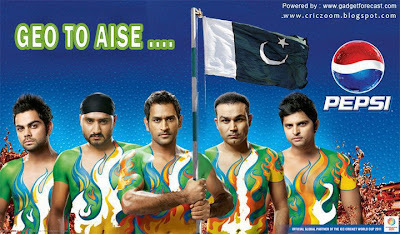 My Word: I back Pakistan to chase anything under 270 against India. India's lack of resources with the ball and the due factor will come into consideration. 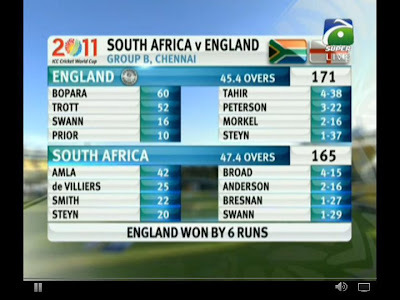 Also, remember how South Africa and England chased down totals in excess of 290 against India during the group games. Expect a top performance from the pride and class of Younis Khan. He could be key. If they bat first however, they will need to pile up a mammoth total of around 300+. India's batting supremacy is formidable. -Played 119: Pakistan won 69/Lost 46/other 4. -India won last time they met in the 2010 Asia Cup. It was a thriller which went right down to the wire. -Pakistan has never beaten India in a World Cup event before. The teams have met 4 times. However, in the ICC Champions Trophy the sides have met twice and Pakistan won on both occasions. -Pakistan successfully chased down in excess of 300 last time the neighbours met in the Punjab Cricket Association home venue. 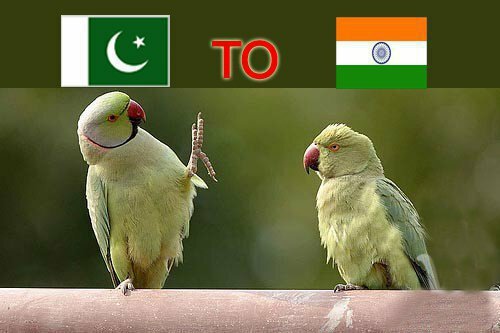 -Pakistan have beaten India 17/26 times in India. -Pakistan have played in a semi final 4 times previously. They won the last 2 times they played a semi final both against New Zealand in 1992 and 1999 respectively. Their journeys ended during the same stage in 1979 and 1987. -India have played in a Semi Final 4 times previously. They have won twice in 1983 and 2003 respectively but faltered at this stage in 1987 and 1996 at the hands of England and Sri Lanka respectively. -Both teams have reached a World Cup final twice previously. Who will be the first to make it to a third final? - So now if Pakistan do reach the final they will be playing a team they have already played during the tournament. -Sri Lanka vs. New Zealand Semi Final will come first in Colombo. This is a repeat of the 2007 CWC semi final which Sri Lanka won. Sri Lanka also comprehensively defeated New Zealand when the two sides clashed during the group games in Mumbai. 1) YK: Has scored 3 out of his 6 ODI centuries against India. He averages in the 40s against them. Has had fond memories in Mohali before. Has the experience of encountering India in big pressure games which will come in handy. Hence, I am jinking him. I am backing him to fire. 2) Gul: Arguably the best pacer in the tournament. His stats certainly make impressive reading. He has developed and matured into a consistent and responsible performer. On current form he is a lethal trump card with the ball. When considering the vastness, depth, class and experience of India's strong batting line up Pakistan will be counting on Umar Gul to deliver and dismiss the big fishes with his firepower and sharpness. 3) Ajmal: 6 wickets in 3 games at an average of 22 against India. Glad to see him picked finally as some brains prevailed. His class, guile and threat possessed is not comparable to many these days. His inclusion provides that cutting edge to the striking bowling attack which compromises of several different varieties. 4) Afridi: Big Match Player. Will he rise to the occasion? Has been instrumental with the ball. The stage is set for him to unleash. Pakistani fans will be hoping and praying for the charismatic figure to be at his very best at times like this. 1) Yuvraj: Has had a phenomenal time of it with both bat and ball so far. He will be high on confidence and fired up for the occasion in his home city. Will it be a Yuvi special? The left hander has stupendous form and supporters behind him which should help the cause. Furthermore, averages a fantastic 48 against Pakistan. 2) Sehwag: A flamboyant dashing stroke maker with the ability to thrash bowling attacks. If he gets going, Pakistan might have their work cut out. Also, one must keep in mind that he has taken a liking to the Pakistanis over the years so the chances of him producing the goods are rather reasonable. 3) Tendulkar: Unforgettable and unavoidable not to mention. A mighty fine genius. Is it his turn to deliver when it matters most? Certainly a front line possibility. The whole of India will be cheering him on as he looks to guide his side home and play in his second World Cup Final during his unstoppable career. 4) Zaheer Khan: Like Gul has been exceptional so far in the tournament. He looks to be the one bowler if any which could provide some problems to the batting line up with his new and old ball credentials. He is an experienced professional and one that is bound to have performed if India were to go on and win. On the whole, it should be a mouth watering clash which will attract an indescribable amount of attention and revenues throughout the globe. It simply does not come any bigger than this. Ultimately, the match will inevitably be determined by India's batting against the potency of Pakistan's bowling. The strength departments of both sides going head to head will be key. It would make sense that Pakistan will have a slight edge if chasing down the target regarding they are able to restrict India to par total in the regions of 240-270. Equally, India could argue the same considering the depth of their batting. It should be interesting to see what happens at the toss. Either way, there is a tremendous amount of pressure and expectation on India's star studded batting line up to mount up the runs, but it certainly will not come easy. In short, we anticipate a closely contested affair in the mother of all battles. The Star studded rock stars takes on the unpredictable and dangerous cornered tigers. May the battle commence and may the best team win. All eyes on Mohali. The countdown is getting closer. I am sitting on the fence as to whether he (Rawalpindi Express) should play in the coming games or whether he should be left to carry the drinks. In my view, Wahab Riaz deserves a spot in the starting line up. He is an emerging talent and has a lot to bring to the team. I am dying to see Akhtar charge in with a fired up attitude for one final throw of the dice. Either way, he has had differences in the team and his fitness and form is questionable. Imran Khan has been pushing for his inclusion in the semis. At the end of the day we will have to accept the decision of the management and take it on the chin even if we may disagree with it. Akhtar has a chance to prove his fitness in the nets and if he is convincing enough he will get the nod of approval anyhow. Akhtar is a match winner as we all know, but he can be a liability and the management should not be forced to select him based on external factors such as his mid tournament retirement announcement. The management are in the best position to decide and we have to go along with it. Riaz is a skilful operator too and gives variety with his left arm angle, despite not being anywhere near his best in the previous 2 games. However, he has only done a limited amount of bowling in those games as a justification to him. Has been a touch rusty. Hopefully will be better if they continue with him. Saturday 28th August 2010 was a shameful day for a cricket starved nation when well publicised allegations from strong conclusive footage against 3 emerging players who had been impressive throughout the English summer was revealed. The bowlers were ordered to deliberately sell out the pride, dignity, image and reputation of their beloved nation in return for vast sums of money with the 26 year old captain being at the forefront of proceedings. It was one of the most disgraceful sporting incidents one could witness. Many people were understandably calling for Pakistan to be removed from playing international cricket and the credibility of the national team was rightfully hanging in dark clouds. Controversies of shocking magnitude have always existed and been associated with the side, but this was like the final nail in the coffin. 19th March 2011 in Colombo and 23rd March 2011 in Dhaka was a sensational day as the boys in green reached the climax stages of the 10th ICC World Cup under the inspirational and charismatic leadership of Boom Boom Afridi. They have completely stole the headlines and been the stand out team. The manner in which Waqar, Afridi and Misbah have overcome some of the toughest times imaginable with people regularly raising eyebrows and questioning the team wherever they have gone deserves a tremendous amount of praise and credit in itself. The way they have fought, battled, coped and bounced back has been second to none. Additionally, this also epitomises the vastness of the depth of talent Pakistan possesses that it never has to rely on particular players at the expense of them tainting and abusing the slightest of privileges. The past has been utterly sickening and I am pleased the ICC took the necessary action in getting their priorities they take for granted in the right place first and foremost. Pakistan Cricket Team have demonstrated character and barely suffered. Arguably as expected considering the pool of back up and thriving youthful exuberance which is produced time and time again, but in doing so they also have slowly and gradually regained a sense of respect, awareness and direction. They can take plenty of pride and heart out of this. Lifting a World Cup Trophy could be around the corner once more in an era which has seen lusty bans due to spot fixing, infighting, oath taking to revolt against a national skipper, mysterious disappearances, indefinite bans, no international cricket played on home territory, incompetent chairmanship, drug scandals, ball biting and endless indiscipline. 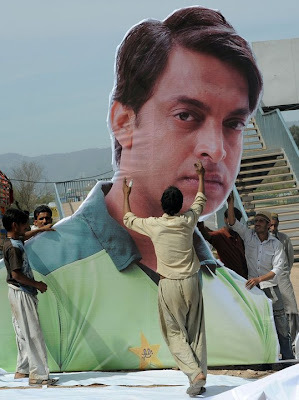 If there ever was a global award winning drama...Pakistan Cricket Team would be a clear winner...a complete circus! 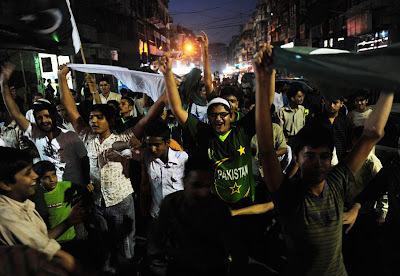 The scenes in Islamabad after Pakistan thumped the West Indies on Pakistan Resolution Day 2011 by an overwhelming margin of 10 wickets! Half Time: West Indies have been strangled by the high quality spinning performances from the boys in green today. With the exception of losing the toss and the first ball of the QF being dispatched through the off side to the fence, Afridi's Tigers have been all over them and totally dominated proceedings in Dhaka. Professor Hafeez bowled exceptionally well with his off breaks. Recovered from celebrating and digesting the fact the cornered tigers will be playing a semi final fixture yet with a good shot of actually clinching the title? National pride, cricketing fever, unity, rejuvenated spirits and the occurrence of a proud internationally recognisable image through major sporting success is sweeping a nation of 170 billion hearts off their feet and on to the streets even if they are not cricket fans. The manner in which Cricket can develop headline positivity, provide a sense of direction as well as restore happiness in the modern day and age particularly is formidable. This undoubtedly epitomises the significance of the industry from a national and arguably global perspective when it comes to assessing the present situation of Pakistan. -Shahid Afridi's overall bowling figures 2011 ICC CWC: 64.3-4-225-21. -Leader wicket taker in the current 2011 ICC CWC. -Most wickets taken by a Pakistani bowler in any World Cup tournament before. -Needs 6 more wickets to break the McGrath's record of 26 wickets in a World Cup tournament which is the most up to date and he has 20 over's maximum to achieve this feat with effectively two full quotas of bowling spells. -Has taken a 4 wicket haul+ for the 4th time in the tournament within just 7 Matches! Mohammad Hafeez's Bowling Figures 2011 ICC CWC: 45-4-159-7. Economy: 3.5. His last 2 bowling performances specifically have been splendid and totally silenced the batting sides. He has had 3 good knocks including 32 against Sri Lanka, 49 against Zimbabwe and 61* today against the West Indies. Credit must be given to the management and captain for persisting and persevering with him when people were raising eyebrows over his inclusion including some influential past greats. As the group stages conclude the quarter finals are expected to take place over the next 4 days. The Match ups include Pakistan vs. West Indies (A1 vs. B4), Australia vs. India (A3 vs. B2), New Zealand vs. South Africa (A4 vs. B1) and finally Sri Lanka vs. England (A2 vs. B3). Before the tournament I predicted on this very blog and other platforms that India, South Africa, Sri Lanka and Pakistan will reach the semis and now this looks like a likely possibility when taking into account the QF match ups, all 4 outcomes are STILL front line possibilities NOW. 3 sub continental teams could reach the final 4. I recently posted a thread “A Confident Pakistani Cricket Fan” assuming Pakistan will take on the winner of the South Africa/New Zealand QF encounter should they win. However, the ICC schedule has been muddled and muffled up considerably and the order of the games has changed significantly whilst the tournament is in progress which is extremely puzzling and unprofessional so my rather optimistic analysis may no longer be applicable. This comes about as a result of the hosting nation home rule policy with India playing their tie on Thursday whereas Sri Lanka playing their tie on Saturday. Obviously, with the home rule for hosting nation’s policy and with one Semi scheduled in Colombo and the other in Mohali, only the winner of the hosting nation’s encounters can take on the winner of the team which emerges victorious from one of the matches being played in Mirpur in order for it to work out properly. The order of the semi finals has changed to the winner of the 1st quarter plays the winner of the 2nd quarter whereas the winner of the 3rd quarter plays the winner of the 4th quarter as opposed to the winner of the 1st quarter plays the winner of the 3rd quarter which many people initially thought without the home rule being fully explained on leading media platforms including cricinfo which previously had is displayed incorrectly, but have recently just amended. Therefore, if Pakistan do beat the West Indies they will either take on India or Australia in the Punjab City of Mohali on Wednesday 30th March under lights. So where does that leave my thread? Personally, I would say we are expected to thrash the West Indies anyhow, but after that the boys in green will have to play exceptionally well in order to stand any realistic chance. It is within their capabilities nonetheless, but after hearing the way the programme has changed I am confident, but not as confident as a few days before nonetheless. I stick by my initial pre-tournament prediction that Pakistan will be knocked out in the semi final stages with the deep hope that I am proved wrong as a fanatic Pakistani Cricket follower /observer. GO GREENS GO! Vast apologies in advance for any inconvenience and misunderstanding caused. Hopefully, it’s crystal clear now and hasn’t dented your confidence too much if anything! After all, Afridi said he will be happy on a place in the semis at the beginning of the tournament and we should be proud of the boys as they have been able to get that far at least...or haven’t they? Confirmation expected within 24 hours. All eyes and minds on Dhaka for now. -Pakistan vs. West Indies Head to Head! Pakistan Have Played 114: Won 48/Lost 64/Tied 2 (43% winning record). -Pakistan have won all of their 4 last and latest one day internationals against them so have had the better of them in recent times. Although West Indies beat Pakistan in the 2007 Cricket World Cup and also during the semi final of the 2004 ICC Champions Trophy in Southampton which are occasions to keep a bearing on. -After the World Cup these two sides will contest a 5 Match One Day Series with One T20 international commencing on the 21st of April. Therefore, the team which loses will be down and out with only this to focus on as the next major scheduled event whereas the other will get to prepare for the semi final by marching onwards and upwards into considerably bigger and better visions /occasions. Obviously that is only what is resting on their minds at present. -Misbah Ul Haq has scored 2 half centuries in just 4 appearances against the West Indies before. As always you can count on him to deliver. He may really begin to tuck into this one paced attack and notch up his 3rd tournament half century. The indications are that he has been training really hard and is fully focussed on this encounter so perhaps it will be his day once more, despite failing to trouble the scorers with his golden duck on Saturday against the Baggy Greens. 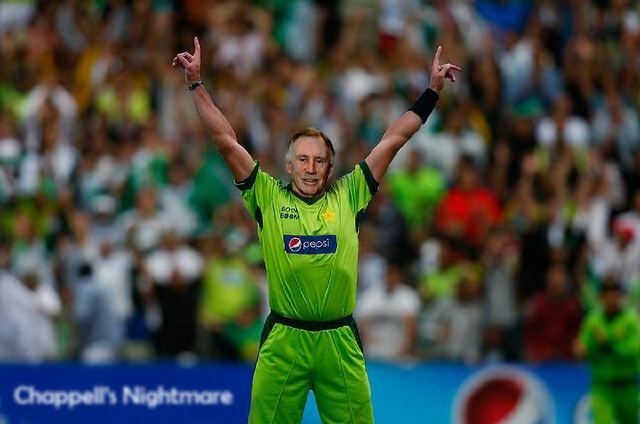 I am tipping Pakistan's Mr Cricket to deliver. 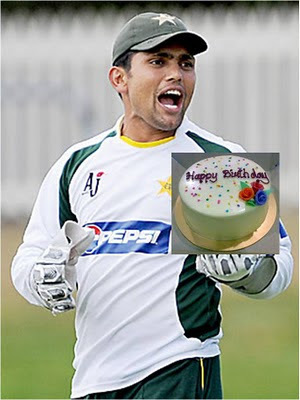 -Kamran Akmal averages a very healthy 35 against the West Indies. This includes his maiden ODI century during a triangular series in Australia from the 04/05 season and a breath taking match winning cameo where he stole an unlikely victory during the final over of an ODI in UAE 2008 from the jaws of defeat with some formidable strokes to totally stun the men from the Caribbean Beaches. 16 runs were required from 5 deliveries and the short figure opened himself up and chanced his arms to clear the boundary over deep cover twice consecutively. In 2005 he once came to the wicket and struck 3 maximums from the final 3 deliveries of the innings. Generally, some of his best memories have come against the West Indies and his record is good against them in ODI cricket. -Pakistan are being presented a perfect opportunity to reach the semi finals here against a relatively weaker opponent if form, quality and rankings are anything to go by. It's MAKE or BREAK time. All previous matches have been building up to this. Here is where it really begins to count. Pakistan have reached the semi final stages previously in 1979,1987,1992,1992 and all other times in 1975, 1983,1996,2003 and 2007 their campaigns have been heartbreaking forgettable flops. Reaching the semis tomorrow will symbolise a proud respectable campaign and mean a lot even if Pakistan are to go no further afterwards. -The last time Pakistan played a quarter final in a World Cup they lost to the hands of India in 1996. One Step Closer To Mumbai For Dil Dil Pakistan! NEW DELHI: India has issued 5,000 visas to Pakistanis to facilitate their visit to India for the World Cup matches, including the final in Mumbai, Press Trust of India (PTI) reported on Monday. Common sense. They will play West Indies. One of India or Australia will get knocked out as they play each other. Then we will play the one who wins that game and if we win that there are only 4 other possible teams we can play if we get that far as things currently stand. He believes tactically aggressive moves and brave moves are the way forward as opposed to a tried and tested game plan which you stick by. 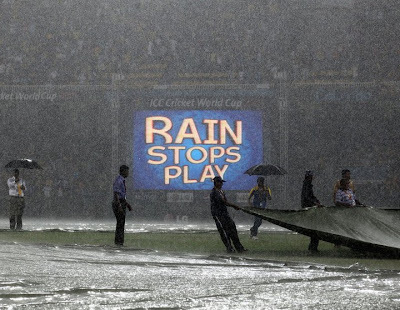 The conditions and opposition vary from match to match. He stressed that champion sides look at ways of improving and adjusting even when their winning whereas average sides/good sides only make the necessary changes after their exploited in a loss. He sees and assesses potential weaknesses quickly rather than buying into don't change a winning combination. He looks one step ahead and plays the most effective team composition rather than being worried about losing. Kangaroos Finally Defeated - The Key Moments. 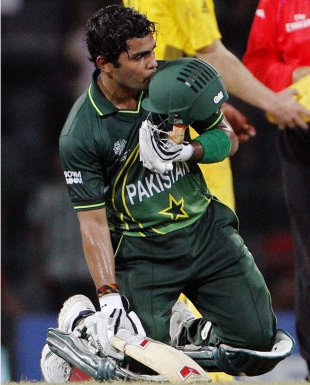 Umar Akmal made 44* and picked up the MOM Award for the 2nd time in the group stages! 1) The skipper yesterday played a totally irresponsible and careless shot. It was a complete lack of game awareness and leadership. It was arguably rather embarrassing more so than ever for a captain of a national team who is expected to lead by example and consider the bigger picture of the team needs and wants. At times one gets the impression Afridi plays for the gallery as a "show off pony" by trying to draw attention to himself instead of thinking what is best for the team. Yesterday, it was Dhoom Dhoom Afridi. Nonetheless, Razzaq and Umar showed some calming presences at the crease to see it through. He himself somewhat admitted afterwards. It was bizarre and unnecessary even if it was to be his nature. 2) Umar Gul knocked over Shane Watson early in the piece. The impressive pacer was struggling and it looked like he had actually pulled up an injury but the magic spray did the trick and he was at his very best with the new ball during his opening spell. He was bang on target, varied his pace nicely and built pressure. Eventually something had to give and Shane Watson couldn't resist an expansive cover drive only for the ball to nip back and clip the top of the off bail from a good length delivery. This was a reward for some fast and accurate bowling as Pakistan drew first blood and Gul captured his 11th in the tournament. 3) Gul's yorker which cleaned up Jason Krejza at the death. The GULDOZER struck lightning with a fullish delivery tailing into the block hole to shatter the furniture. This represents his class and gift of being a magnificent death bowler. 4) Rehman knocking over Hussey with the angle and bounce. The ball stopped and got big on him only for him to turn it around the corner where Misbah gobbled him up with his bucket shaped hands at short midwicket. 5) Lee dismissing the big fishes in successive deliveries with a touch of away movement outside the off stump where they fished and were caught behind. 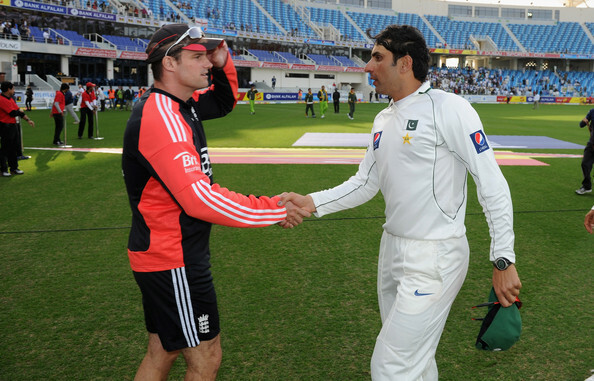 They were two gems which dismissed the senior pros (Younis and Misbah) to create a sense of panic in the dressing room. The speedstar created a twist in proceedings when Younis and Asad were going along fluently. 6) Razzaq slamming the Aussie off spinner through the off side right to the fence to seal the win and confirm Pakistan's position at the top of the table. The win was greeted with emotion and excitement in Pakistan as they were the joint most successful team in the group stages and have already made their mark and made themselves heard at this Cricket World Cup regardless of what happens next. They have had some champagne moments already to savour. 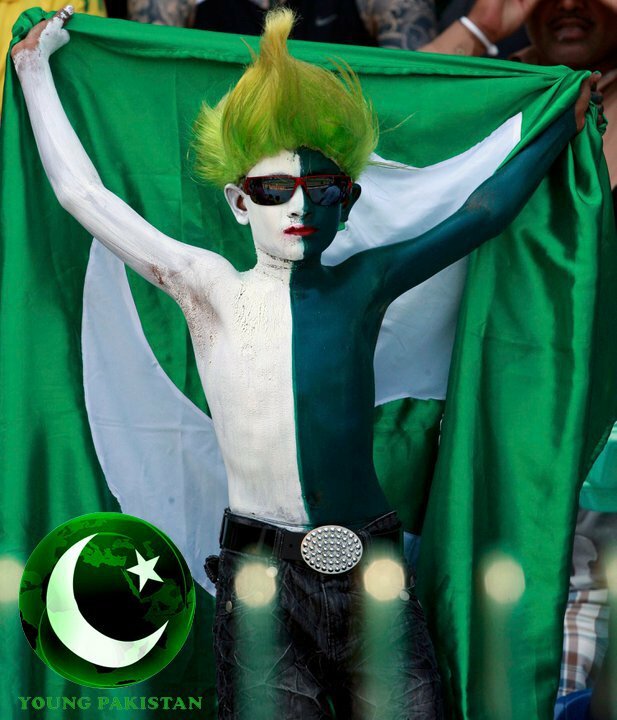 A Confident Pakistani Cricket Fan! Pakistan enter the quarter finals having won 8 out of their last 10 one day internationals. Today they broke Australia's 34 run winning streak in World Cups.
" 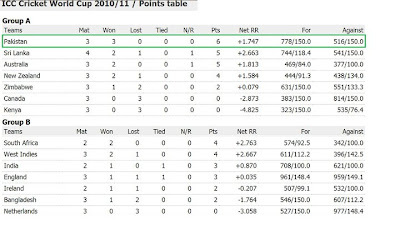 Pakistan effectively only need to beat Canada, Kenya and Zimbabwe to progress to the quarter finals in the World Cup. They can actually afford to lose to Sri Lanka, New Zealand and Australia without harming their prospects of reaching the knock out stages as long as they beat the minnows. Nonetheless, you'll expect them to beat New Zealand and if they could win their encounter against either Australia or Sri Lanka as well, that will put them in an excellent position to get the momentum, psychological edge and in-form confidence to deliver when it matters. Also, will give them an easier fixture in the quarter final against a lesser in form outfit. There are absolutely no excuses for not reaching the quarter finals. Reaching the semis should be the target and where I think they will be, come 26th March! 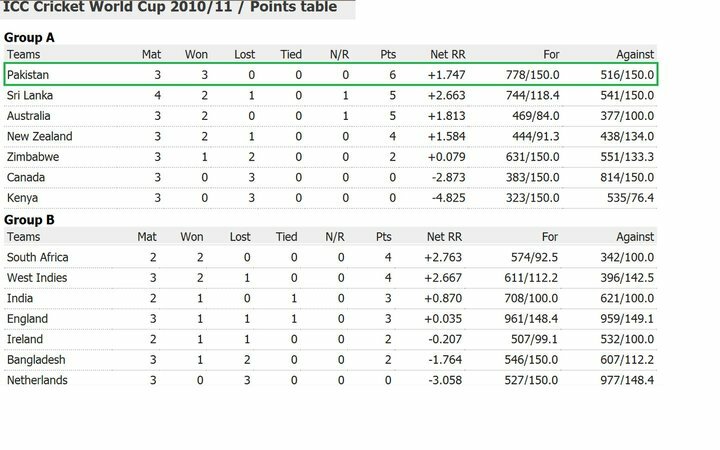 The tournament structure certainly suits Pakistan as it is all about easing your way into it and peaking at the right time. In short, a very open World Cup where Pakistan stand a good outside chance in all seriousness. Mark my words. The match vs. Sri Lanka on the 26th of February and the match against Australia on the 19th of March will be absolutely detrimental to Pakistan's general chances in the long chain of events. I expect them to beat Canada, Zimbabwe, Kenya and New Zealand comfortably. These two aforementioned encounters are crucial and if can win at least 1 or even 2 of them that will be simply awesome. It’s an open World Cup in all seriousness and fairness. It would be unwise to rule out the capabilities of the majestic cornered tigers. Going the distance and triumphing is not beyond them. Nonetheless, I feel India and South Africa look like favourites to win this 10th WC tournament. Pakistan should target a spot in the semis at least; I will be satisfied if they are able to reach that far. That would be a good showing and a successful campaign." Winners=What DREAMS are made of!!!!!!!!!!!!! 1) Playing a weakened West Indies outfit in the QF. Not in form and not with the best of preparation behind their backs. Arguably the weakest side in the QF. Pakistan are undoubtedly the superior force and firm favourites for this encounter regardless. 2) If there is one team that can make South Africa choke it is Pakistan. Same applies against New Zealand as well. Either one of these will be facing us in the semis should we win our QF against the West Indies and therefore we should certainly fancy our chances on history alone which is in our favour whereas playing in the back of their minds! Whilst I may disagree with some of the selection, strategy, combinations and captaincy ill mannered approach and mindset, I am nevertheless fully confident of Pakistan reaching the Wankhede Stadium for the grand final and so should you! The route to glory is significantly easier than it could have been and deservedly so as they topped the group. The captain, management and strength of the team composition isn't great and probably will not be fully challenged as explained. However, who could simply consider complaining if it was to be at the expense of lifting a prestigious sporting trophy and when assessing the situation of the country away from the playing field it simply could not have come at a better needed time. Before the tournament I predicted India, South Africa, Sri Lanka and Pakistan will reach the semis and now considering the quarter final match ups this could turn out to be a perfect prediction although I would love to see England get through to the final 4 as well and feel they might get there. Shafiq made a well compiled unbeaten 78* in Pallekele. World Cups are stages where heroes are made and true gems are discovered. Over the years some of the world’s finest players have announced themselves to the World at a World Cup event which famously includes Inzamam Ul Haq in 1992 when the youngster took the world by storm by playing phenomenal match winning knock under pressure in the semi final at Eden Park New Zealand where victory looked improbable, but the class and exuberance of Multan’s Sultan had other ideas in mind as he blasted the Kiwi attack to all parts of the ground and single handily stamped his authority to give Pakistan an unlikely victory when they were chasing down a tough total. Recently, Asad Shafiq got his chance after Umar Akmal pulled up an injury which side lined his participation in Pakistan’s penultimate Group Fixture against Zimbabwe and in his very first of World Cup appearances notched up a delightful knock to guide his side over the line. He caught the eye of many experts including former England left hander Mark Butcher who was impressed by the youngster as he highlighted in his post match analysis in the Sky Sports Studio. Shafiq showed a great deal of maturity, application and determination as he walked out to bat at number 3 following the early exit of Ahmed Shehzad. Initially he looked a touch scratchy, but once he battled through the nervous patches up front, he began to find his comfort zone and was in full flow. Asad is a short lad with a very well composed level headed stance. He generally favours the on side. Against spin he uses the crease very well to rock back and create room and this is a key scoring option he turns to. Occasionally every now and then he comes out of his blocks and can execute lofted shots. He has the ability to knock the ball around and play the ball late like a cheeky operator and tends to go about his business at a good rate. Against pace he is very strong off his legs with anything slanting into him which he frequently tucks away neatly into the gaps. He usually gets behind the ball nicely in defence and when the width is on offer he ensures he doesn’t miss out by crunching the ball through the off side. He gets on top of the ball well and looks in control, but occasionally is found wanting playing the wrong line outside the off stump. His attitude is admirable and he has the gift of solid temperament and mental strength to carry him through and show some fighting resistance when the going gets tough or handle different match situations efficiently. Asad models himself on Mohammad Yousuf who is one of his role models as a middle order batsmen. There are similarities already visible between the two. Specifically referring to the elegance, strike rotation and commanding presence they have at the crease as they look to dig in hard and accumulate. In the field he is alert, agile and has top notch hand eye coordination. We have seen him make some wonderful stops and take some cool headed catches. Additionally, he provides a keeping option and is regarded as a handy glovemen who can stand in if needed. With 2 ODI half centuries and 2 Test Half centuries already under his belt within just 18 international appearances in all formats the future is looking promising for the emerging player who has settled into international cricket very well. He can form the future of Pakistan's batting line up along with the likes of Azhar Ali, Umar Akmal and some domestic prospects like Usman Sallu, Babar Azam, Rameez Aziz and Shan Masood who have pushed through the ranks in this concluding 2010/11 season. Pakistan vs Australia Build Up! - Misbah Ul Haq averages 49 against Australia in ODIs whereas Younis Khan averages just 15. - Shahid Afridi got his career best 6/38 against Australia. - Australia have a 34 match undefeated record. Last time they were defeated was in the 1999 WC and that ironically came against Pakistan. - Australia has appeared in 6 out of 9 WC finals and won the grand tournament 3 times consecutively. -Australia have won their last 6 one day internationals against Pakistan. -Australia have won 10 out of their last 12 one day internationals whereas Pakistan have won 7 out of their last 9 one day internationals. -Both teams famously met in the 1999 World Cup Final at Lords on the 20th of June where Australia won easily. Afridi's defensive mindset and negative selection policy is seriously hurting Pakistan's chances of winning this World Cup. The most infuriating aspect of all is the fact that this is an open World Cup where there is no stand out team and Pakistan genuinely have the resources to flourish as well as the favourable modified structure, but some mind baffling decisions and strategies are standing in their way of going the distance just like the liability of Kamran Akmal's shoddy keeping. Legendary greats like Wasim Akram and Imran Khan have lashed out and repeatedly warned the skipper of the dangers such an approach can bring during the big games. Surely this should be enough to convince him? Whether he takes on the highly logical and recommendable advice or not it totally within his court, but it certainly can bring the team down and become exposed in the big games. Whether fortune is kind to him and he is able to get away with it is left to be decided. However, the warning has been given in advance and Pakistani fans can almost be prepared to be disappointed with only their leaders at the centre of question. To rely on sheer individual brilliances to overweigh the areas of vulnerability is arguably unreasonable thinking and a step too far. There has to be desirable planning, balance, effective composition and intention in place which simply do not seem to exist in his dictionary. 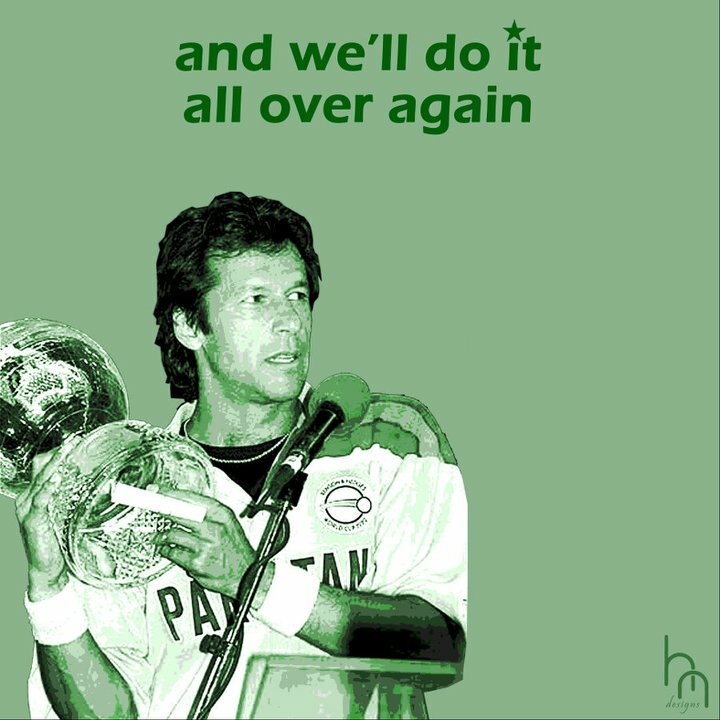 Either he has to immediately come to terms and get a grip or leave 170 million hearts banking on exceptional incidents to happen on the playing field which is risky territory to be in even for a dangerous and multi-talented side like Pakistan, but it can be done, but why would you want to over complicate things at the expense of depth, utility and safety? Hence, I was never in favour of him leading the side in the World Cup prior to the build up and captaincy corundum as hopes would have been significantly more secure, maximisation of effectiveness and intact under the leadership of Misbah or Younis for example where they would have assessed the situation and confidently had a solid game plan in place in an attempt to extract the best out of the unit as a whole as opposed to purely operating on emotion and instinct which is not bound to get you far alone whereas it could be moral shattering if the slightest of things do not go accordingly. There is widespread indications that he is behind Rehman's inclusion in the starting line up rather than Ajmal. Usually a captain has a high say in his wanted selection and therefore suggestions are pointing towards Rehman favourability who is not necessarily fulfilling the requirements or bringing in the credentials to complete the attack. There are possible explanations of him having fall outs with Ajmal after his personal attacks against him in the media during the course of the South African series in the United Arab Emirates. Also, he does not seem to be fussed by playing 8 batsmen which has been unnecessary and opening soft spots in other departments. This is rather futile and reducing the team's chances of bringing out the best usefulness. As Wasim Akram sarcastically stated something along the lines of :" Afridi must learn he cannot always play his friends in the team and some spaces have to go for others." At times one gets the impression he himself wants to be the show pony with his face in the action all the time rather than considering the needs and wants of other star attractions in the team namely Razzaq and Umar Akmal who are getting limited opportunities with the bat and are not been given defined roles and acknowledged for their credentials in the manner they should. Failing to think one step ahead of the opposition and instigate plans out of the ordinary such as taking a Power Play earlier on rather than just following the flow of the game and waiting for things to happen. The arrogance, yelling and stressfulness in the field only lets others down too and gets the better of him at times. He sometimes watches like a spectator or gets into the skins and teeth of his players. He has also been guilty of leaking out misleading information in the press and dressing room secrets which others have correctly highlighted and criticised him for. The unwillingness to utilise or unleash the surprise package in Junaid Khan just adds to the list. Was Afridi really ready to manage more than what he is himself as a player and human being? -If the men in green beat the Aussies on Saturday at Colombo and Sri Lanka beat New Zealand on Friday that would result in Pakistan topping the group going into the last eight. - It’s a do or die situation for England on Thursday where and when they will take on the West Indies. If they lose the fixtures the current ICC World T20 Champions and Ashes holders will be packing their bags and eliminated from the tournament. - If England beat the West Indies and Bangladesh lose to South Africa in their final fixture on Saturday, the tigers will not make it to the last 8 unless West Indies lose against India as well and Bangaldesh's NNR is favourable, however if England beat West Indies and Bangladesh beat South Africa then Bangladesh will still go through. - All the major sides in Group A i.e. Australia, New Zealand, Pakistan and Sri Lanka have fully qualified for the last 8, but where they finish remains to be seen. Key Observations. Pakistan beat Zimbabwe in Kandy. Now Bring on The Aussies! Pakistan beat Zimbabwe rather comprehensively as they eased to victory in Kandy by 7 wickets in a rain shorted Group A match. Pakistan now take on Australia on Saturday in Colombo in their final Group fixture. From now on in, all games will be full of pressure, tension, intensity, anticipation, challenge as the tournament really gets into serious mode. There will be no soft fixture anymore and every match will be symbolically indescribable, full of meaningfulness and of utmost importance as Pakistan look to re-live the memorable bells of 1992 in the 10th ICC Cricket World Cup jointly being hosted by Bangladesh, Sri Lanka and India. Where Pakistan conclude in their group and who they will take on in the Quarter Final stage will be fully determined by the end of the week. It will be imperative they get much as possible going for them in order to be an ideal state and frame of mind to deliver when it matters and it does not come any better than breaking Australia's 33 match undefeated World Cup record come Saturday. -Shehzad has 44 runs in 5 innings at an average of 8.8. He is really struggling for form and confidence. It will be a really brave move if they continue to persevere with him from here on in and one could not really complain about dropping him at this stage as far as form is concerned. -Abdur Rehman averages 83 runs per wicket and just has 14 wickets to his name in 19 one day internationals . He is making his reputation clear as a really defensive average operator and is no match winner whereas we have a world class threatening match winner sitting on the bench and watching from the side lines. Do you think England will select Yardy ahead of Swann? 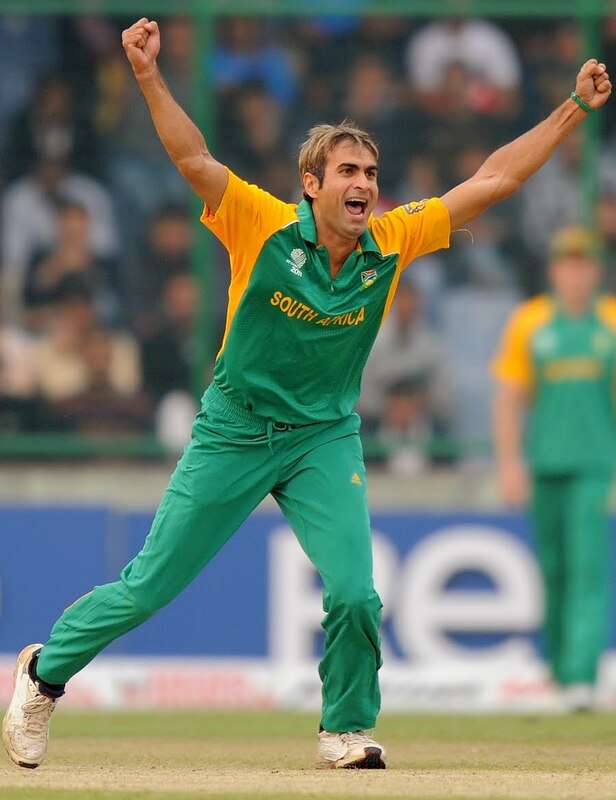 Do you think South Africa will select Patterson ahead of Tahir? How difficult is it to select your best and most effective players? A darty left arm container who bowls on the pads or a crafty off spinner who can bamboozle batsmen, turn the screws in a match situation and attack the opposition in a unique manner? The logic behind Rehman being the main spinner is mind baffling. -Umar Gul has notched up 10 scalps in 5 matches at an average of just 16. Arguably Pakistan's best bowler in the tournament so far? He currently stands as one of the leading wicket takers in the tournament at this point in time. He has bowled with skill, responsibility and firepower and could be a front line candidate to take the new ball as well now. He has shown he can control it and attack up front when the chance has been given which should give some significant food for thought for the skipper. -There are areas and poor patches where Afridi's captaincy has been dysfunctional, unmanageable and negatively lacklustre. This includes the under reluctance to play a purposeful 7-4 combination, take incentive and seize the initiative by flexibility in the batting order, failing to push for Ajmal's inclusion in the starting line up, misusing the referral system unnecessarily or childishly and being incapable to control proceedings on the field when the heat is on and everything is not coming easy. This could be a front line downfall as highlighted previously before the tournament. The talisman needs to get a serious grip and share the responsibility equally with the senior men around him and utilise their highly regarded input/services as much as he possibly can or needs to because the opportunity to do well is unquestionably here and it would be rather disappointing if they fail to capitalise by being brought down within themselves. Pakistan take on Zimbabwe tomorrow from Kandy. The weather is a concern. 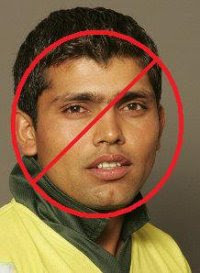 Umar Akmal is apparently "injured"
Kamran Akmal's internal politics along with nepotism is destroying Pakistan Cricket. Hard to believe that UAs injury was genuine. This has not been the first time that when Karman's place is on the line something drastically happens to change his fortunes so he can somehow retain his place in the line up. Fishy news indeed and we have every right to be speculative. Which way around do you think it is? 1) Umar is deliberately faking an injury to save Kamran's place in the team? 2) Kamran is playing dressing room games and pressurising the youngster to play it dirty so he is not side-lined? Personally I believe its number 2 but either way this is an act of shamefulness and questions the national pride of the brothers who are seemingly more concerned with personal interests. The management have strictly and correctly warned the duo that if there is a any repeat of what happened following the SCG debacle it will not be tolerated which puts their future with the Pakistan Cricket Team in question. These two might be sleeping uneasy now. Shahid Afridi has earned a reputation of firmly criticising and attacking his own players in the open media, but when it's Kamran Akmal he does not say a word. Mind blowing stuff from Pakistan's captain. Any observer who follows the game in any detail and technical seriousness will know that Umar is technically a better and more advanced keeper than Kamran. He may be called a make shift keeper but he has excellent reflexes and sharp footwork as we have seen previously and when you compare him to someone like Kamran, Umar is far superior with the gloves. Therefore, there should be absolutely no hesitation in making him the premier keeper. The irony is that Kamran is actually worse than a make shift keeper!!! Even leading media sources are insulting Kamran. Cricinfo has been calling him a 'prat' and to be frankly honest we really cannot blame them one bit. The match winning drop machine must go for good. The chances of Kamran scoring tomorrow if he plays are high though. There is a pattern that he always lift his performance levels when his place is on the line and he is under the firing line, but then does nothing much after to follow it up and we then wait for another disastrous keeping exhibition down the line. So even if he does end up scoring tomorrow, people must not get carried away. Pakistan (probable) 1 Ahmed Shehzad, 2 Mohammad Hafeez, 3 Kamran Akmal (wk), 4 Younis Khan, 5 Misbah-ul-Haq, 6 Asad Shafiq/ Umar Akmal, 7 Shahid Afridi, 8 Abdul Razzaq, 9 Wahab Riaz, 10 Saeed Ajmal, 11 Umar Gul. I would move Afridi and Razzaq up a position and play Junaid Khan as well rather than Shafiq in the middle order. Gives us an extra front line bowling option and a genuine new ball bowler, but it looks like they're going to stay with their 8 batsmen defensive strategy even against a weaker side. Good riddance. Possibly they are playing Shafiq as a keeper in which case that is totally understandable, but still even if they are doing that one of the openers has to make way for the 7-4 combo. I'm beginning to accept that they are going to go with a 8-3 combo from here on in, but this is something they may well regret big time down the line. Afridi and Waqar are showing how hopeless they are in planning a strategy to become a champion side and extract the best out of the team by using full strength well balanced and attacking combinations. They are clueless in bringing the best out of others and showing game awareness, something which Younis, Misbah and Malik have done really well when they had the captaincy in their hands. Sir Imran will be tearing his hair out at Afridi right now! He has the resources, just not using them properly! Sad news for Tahir. He will be rested following the occurrence of an injury, but may return in time for the knock out stages. He is set to miss South Africa’s final 3 fixtures from Group B which included an all important clash against India on Saturday. The leggie stole the headlines with 11 scalps in his first 3 international appearances at an average of just 8.9. Also, touched the record for the most wickets in his first 3 international appearances. He had a very good shout of seriously challenging the leader board for the top wicket taker in this WC with the outstanding dream like start but this injury will inevitably change things. We wish Tahir a speedy recovery and hope to see him back and weaving his magic. He was a star attraction which made great viewing. You had to adore his enthusiasm, skills and overly jubilant comical celebrations. You could see how much each dismissal means to him. He is a guy who is hungry for success and thoroughly enjoying his time in the South African outfit. Having won 3 out of 4 fixtures with matches against Ireland and Bangladesh to play, South Africa are on track for a successful tournament. 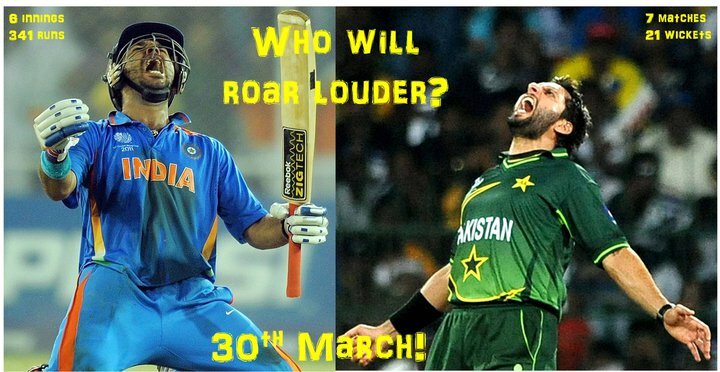 A Week To Go and Where Will The Men in Green Conclude? The boys in green should target a top 2 finish at least and will need to return to winning ways after the 110 run defeat at the hands of New Zealand on Tuesday 8th March. Note: Pakistan could potentially be playing their QF fixture on the 23rd of March if they top the table which is a Pakistani national holiday or even on the 25th of March if they come 3rd position which will be a day many will remember as 19 years to that date Imran Khan lifted the World Cup Trophy in front of a packed MCG. Surely they are special dates which can be inspiring and a special occasion if it was to occur? Congratulations Bangladesh on a thrilling and monumental victory today by 2 wickets against the Poms. As one poster at the ground said: "One Tiger is better than 3 Lions!" Bangladesh Cricket Team have done their fans, supporters and fellow countrymen very proud indeed. They have beaten a top class side from the jaws of defeat and mathematically stand a reasonable chance of reaching the quarter final stages with matches against South Africa and Netherlands yet to play. What is wrong with England nowadays? They have had excellent results against tournament favourites namely India and South Africa where they surprised everyone and tied chasing 338 and won by pulling off a 6 run victory having been dismissed for 171 batting first whereas against the weaker sides (Ireland and Bangladesh) they have been embarrassed with formidable upsets. Truly unpredictability and mysteriousness at its very best, something which Pakistan's majestic lions are renowned for over the last decade or so. A team which makes action packed drama possible and great viewing. Not to forget their shambolic and woeful bowling and fielding displays against Netherlands on the 22nd of February despite being able to avoid an upset and get over the line on that occasion. England now play West Indies in Chennai on Thursday in virtually a must win game if they want to keep their campaign alive and successfully progress to the real deal business stuff. For now though the moment, day and headlines belong to Bangladesh and their emotional fans who will be partying on the streets and celebrating hard. Great to see a smile back on the faces of those fans who were absolutely tormented by the disastrous defeat against West Indies last week and responded violently in protest. This outcome should lift spirits and restore the credibility of Bangladesh as an important well developing cricketing institution and well capable World Cup hosting nation. Yesterday the central contracts were awarded and there have been some very questionable categorical criteria which comes under the spotlight. The fact that Kamran falls in the “A” category is totally absurd and undeserving according to many as far as merit is concerned let alone the negative conception of his off field troubles. He has scored 2 half centuries in his last 13 one day internationals and they too both came in less significant encounters. Not to mention his diabolical keeping performances. Meanwhile, PKs Test Number 3 Azhar Ali who has been extremely impressive and a true breath of fresh air clearly deserved better than falling under group “C”. He has scored 6 half centuries in just his first 10 Tests and all the time he has scored well they have come in positive outcomes. He is a highly promising long term future prospect which has really won the appreciation of close Test cricketing followers. Tests should arguably also get prioritisation over limited overs affairs and therefore surely Ali deserved to be a category up at least as far as merit and value is concerned. Taufiq Umar also did extremely well in New Zealand where he notched up 2 half centuries in effectively 3 opportunities and showed a great deal of mental strength, guts and application. He seems to be a good solution to the opening woes in the 5 day game and is even an excellent contender to be groomed as vice captaincy in that format as is Azhar Ali. Both these names deserve to be given a higher degree of priority and investment. Meanwhile, it was good to see the seniors get the respect they deserve and are acknowledged with top brand contracts which include Younis, Misbah and Akhtar. This time last year it seemed as if their careers were over but they have bounced back hard and shown their class and experience in particular Misbah who has been nothing but exceptional since taking over the reins of Test Captaincy and sensationally changed the fortunes and structure of the well developing and achieving outfit as well as establishing his presence, attributable assets and reputation as a top class ODI player as well. He (Misbah) has clearly been the stand out performer and revelation during his golden years as a comeback king with admirable responsibility and consistency. Some of the credentials he has are not even comparable to past greats and players like him are found in rare proportions especially by Pakistani sides and therefore it is of utmost significance PK take full advantage of his services which remain. Consideirng the tough manner in which he was treated earlier in his career where he was really unlucky to be overshadowed and the form he is showing presently this could be justifiably stretching another few years which will be beneficial from a team perspective. All in all, it was a mixed bag. Some of it was pleasing. Some of it was reasonable. Some of it was questionable. Some of it was insulting. Either way, hopefully the scheme will be beneficially motivating and successful in helping bring the best out of the named figures on the pitch in the months and years which lie ahead as we as providing them with financial re-assurance. “Like” this post if you agree that Kamran “Fakmal” should be dropped from the team and even sent back home. How bad, negatively influenced and immature does a keeper simply have to be before he can be dropped for good? Surely there has to be a limitation on the level of cost and genuine badness? Just to remind everyone there are 3 very capable make shift keepers in the squad who are capable of doing a better job than Kamran any day of the week. And if the management are reluctant to select a make shift keeper there are always specialists available who can be called up which include capped players with international exposure like H. Farhat and Safraz Ahmed who are performing really well domestically. A bold decision is needed. A comprehensive thrashing at the Pallekele Stadium totally exploits the significant areas of concern which have been raised even when we were winning games on the trot as well. Hopefully, it provides the necessary re-think in order to gain at least something out of today’s humiliating outcome. The Kiwis on the other hand were top notch and rose to the challenge in emphatic fashion. -Opening with Rehman was a creative and innovative move from the skipper. The SLA bowled economically and the experiment proved to be a revelation with only 14 being conceded from his 5 overs in his opening spell during the PP overs! Credit must be given here for the surprise tactics and successful execution. -Gul bowled really well and economically in his first spell and only conceded 8 from his first 5 overs with one scalp when he came on as first change. An excellent job from the top class pacer. -New Zealand added a mammoth 92 in the last 4 overs of the innings courtesy of some magnificent late onslaught and sheer carnage from Ross Taylor and Jacob Oram who completely battered the bowling to all parts of the ground and somehow enabled the Black Caps to reach 300 out of the blue which took everyone by surprise. Unless, you were a supporter of the men in green the formidable destruction made some great entertainment and was absolutely unbelievable when witnessing. There were some ruthless blows and the destruction was of astonishing capacity. Inevitably the figures of the bowlers were all spoiled and messed up significantly as a result and New Zealand almost certainly had the upper hand at the half way stage when they concluded on 302/7. Taylor was undoubtedly the star of the show with a breath taking exhibition. -Hafeez once more failed to deliver and dropping him now at the expense of an extra seamer (Wahab/Junaid) preferably would be a reasonable and worthwhile ploy. Ajmal should also automatically be in the starting line up ahead of a left arm darter. He is the more attacking, skilful, classy and threatening option and has the ability to bring more value to the side and make a bigger impact. He should be the premier spinning option. Playing Rehman might not be the worst idea in the world, but when you have to select one between the two, Ajmal should always get the nod ahead of Rehman. The general quality he possesses is of a unique nature and strength which needs to be utilised, especially when it’s available on sub continental surfaces. The reluctance to select him is mind blowing considering the skills, experience and craftiness he has up his sleeves. Why would you simply not want to utilise it in order to make the bowling force and resources look more feared, technically advanced and balanced? It beats me for one! 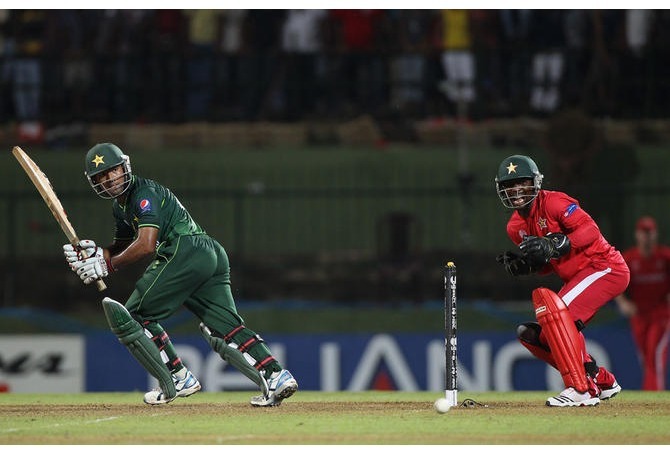 -Kamran Akmal is undoubtedly the best MATCH LOSER in international cricket. Unfortunately for the cricket mad nation he had to be born in Pakistan's team. We can only persuade the guy to do the honourable thing and retire from international cricket with immediate effect or at the very least give up the gloves for good. If he had the slightest element of pride, dignity and shame he would take this step forward. -Kamran Akmal on the other hand is also failing to deliver at number 3 and today he played across the line and was comfortably gobbled up at first slip when he needed to deliver only to give away his wicket once more in a soft manner. Frankly speaking his vulnerabilities are easily exploitable if you study his dismissal pattern and footage in any good depth, a bowling unit can easily fancy their chances again him. His disheartened facial expressions as he departs off the field is all too a familiar sight for PCT observers. The cringeworthy, monstrous, heavily tainted short ring leading figure is justifiably disliked amongst his fan base in many proportions more than one. Over the weekend he made some strong self defence statements in regards to the cloud of suspiciousness which was hanging over him and also his own personal performances, but this can also be argued as excuse making at the same time to overweigh the hardships. Once more the WK does not seem to be doing him or his country any favours and instead throwing what little credibility in him which remains down the drain. Great match and an intriguing contest. England pulled that one out of the bag when they seemed totally up against it. A low scoring thriller from Chennai. Group B is turning out to be fascinating and there is plenty to play for. Once more England are in action in the tournament and there is eventful high class drama and truly "edge of the seat stuff." They narrowly win by 6 runs to claim their second victory in their pool table with 2 to play in due course against Bangladesh and West Indies. Strauss's captaincy was excellent. He rotated the bowlers intelligently and showed character and belief to fight right to the very end. It's not over until the fat lady sings and there were many twists and turns on the slow surface. Pakistani born Imran Tahir can give Afridi some serious competition in the race for the leading wicket taker in this 2011 CWC. Great to see some top quality leg spinning performances. A masterful art. Tahir has captured 11 scalps in 3 matches whereas Afridi has captured 14 in 3 matches. Shehzad Under Pressure, But Dont Be Surprised If He Hits Back! Shehzad is expected to play tomorrow and the selection committee are persevering with him which is good to see as he has a lot to give and has earned his place in this line up with some exceptional performances. The memories of his maiden ODI century just over a month ago and his familiarisation with the Kiwi attack could help him deliver on the big stage. After a very heartening performance at least with ball and bat last week against co-hosts Sri Lanka, Pakistan batsmen produced another shabby show. Batting collapses are part and parcel of this batting line ever the great Inzi has called it a day but frequency of these collapses have certainly reduced a fair bit ever since Pakistan resurgence in ODI series in England, return of experienced man Misbah and Younis has helped in this regard but even though, this line up with willow have ability to shock everyone now and then as they did in last ODI of English series and first ODI’s of two series in UAE and New Zealand. Batting show against Canada was of similar league, who are pretty much outsiders in setting and standard here in Sub-Continent. The pitch had little nibbles in it and cloudy weather did help the bowlers but playing a low rated opposition got to Pakistanis more than anything else which was not new, in fact there is fair bit of history of it, in 99 World Cup edition, Pakistani batsman stumbled against Scots and laid down against Bangladeshis, in 03 World Cup they labored against first timers Namibians and most notorious of them all, last World Cup 07, against Irish which was nothing short of a worst horrible night mare for all of us. Fortunately, this time around they put just enough on board largely due to Umer and Misbah, it was always going to be defended with bowling talents of Pakistan. Fielding against the Sri Lankans was very ordinary, though ground fielding was just okay but the catching once again let Pakistanis down. Waqar and Aqib have done a remarkable job in this regard, they really put great stress on fielding, there is fair bit of improvement but still a lot to be done even now, at least approach is right and moving in right direction. A part from these hick ups, there has a lot of green for Pakistan and things to be happy for. Pakistan's bowling looks certainly most talented and most penetrating attacks of the lot, though Proteases have a very fine bowling line up now Imran Tahir in side providing variation, but I have doubts on their depth bowling specially and in general fast bowling. Styen and Morkel are very best when they get the conditions; they are not bowlers who will do breathe taking job everywhere. They need the ball swinging and bouncing to trouble the batsman, Morkel cuts to half a bowler what he is when there is not much extravagant bounce and pace in wicket, which is case there in Sub-Continent, decks are made for batsman and spinners. This is going to be proved some point in the tournament. Their depth bowling will be also under serious stress at some point because they have the tendency to bowl not enough deliveries in black hole. Pakistan tried Ajmal after quite some time, which is good aggressive move. He looked all fine as reliable as ever, showed no signs of rustiness. He is very good bowler to have in the attack as he is very different from normal off spinners, a lot of variety and provides Pakistan another wicket taking match winner, there are already Afridi, Shoiab and Gull. On flat wickets, wicket taker are keys. Though Rehman is also an excellent bowler, great control and can tide down any batsman but he lacks sometimes the all important knockout punch, he gets most of wicket when batsmen are attacking but it’s a different game for him, if he has to get one by himself without mistake of player more to by his skill. It is just matter of time when Umer Gull strikes his best; he is one who can be banked upon with condition very favorable for reverse, he will be lethal. Any doubts which were on Gull ability on bowling new ball are also faded, after his opening burst of the last game. But greatest thing for Pakistan be happy for is that two the rock stars Shoaib and Afridi are in staggering form with ball. Afridi by far is the most dangerous spinner in the tournament; he is certainly in form of his life with ball in the hand, certainly matching the performances of great Warne in 99 World Cup. He once again can make Aussies go mad, as he did in UAE two years, in top position decider of group A. On the other hand, Shoaib is also looking deadly even being in 35th year. He is still making batsmen feeling fear and dance at pitch. Batting as I said above did stumbled but middle order in Younis, Misbah and Umer Akmal are men in runs. Top order is looking in good shape but they are failed to capitalize on the starts which they will be vary of. Both Afridi and Razzaq need bit of time or some good lusty blow to feel good because they are source strength that can tear apart any attack in mere blink of eye. One thing that missed in Pakistan was quick change of the batting order according to the requirement of the position which Waqar and co should be looking to change on in coming games. Most important to me was ability of bowling attack in defending totals that may not be necessarily wining totals. They have done their repute no harm at all with these two shows, in last six months we have seen after and again how this bowling attack stepped up its game in defense of the totals, it happened just three time that bowlers have failed to defend the total in last 8 times trying to do so, two times were 1st games of the South Africa and New Zealand series where batsmen put impossible totals to defend. Only other occasion that left is 2nd ODI in England where bowlers failed to defend 294 and that too happened with at least three to four decisions going against Pakistan in that innings. This bowling attack does not need massive totals on board; mere good fighting total should be good enough for them to defend which is huge plus. Starting without anyone giving them even a chance, men in greens are moving well in pursuit of the crown, still these are early days but signs are there, we can expect very big things in near future. The stutter against Canada may well prove a shake up for the team and make them keep on pressing hard. It is imperative that Pakistan finish top of the group because it will make quarter final tie in Dhaka which will not be much different from playing at home with crowd right behind them, for that they should capitalize on the mistakes made by them in earlier games. 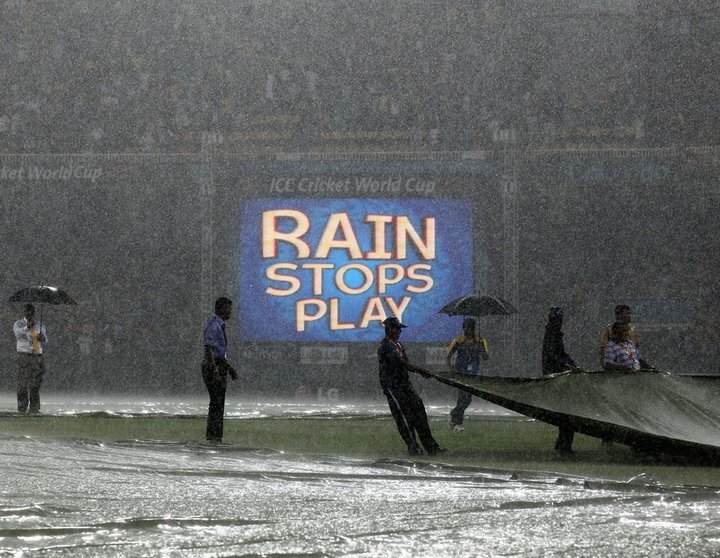 Today rain intervened and washed out a mouth watering contest at the Premadassa which was a replay of the 2007 CWC Final in Barbados. Following this frustrating the result witnessed today the points tables of the respective groups make the following reading. So far Pakistan have performed well and produced 3 winning results, but the lack of surprise, creativity, innovation and aggression from Afridi and Waqar has been heavily disappointing. It has not reflected in the results and everything has been easily overshadowed. However, valuable opportunities to set the impetus have been missed which could be harmful in the latter stages of the tournament. In reality, both Waqar and Afridi seem to be defensive and laid back in leadership. So far it has not been exploited, but don't rule out the possibility. Generally and traditionally, this is not the way teams including Pakistan have had successful campaigns in the past. Time to get a grip and have a plan "B" in mind before it's too late. Afridi is an aggressive cricketer, Waqar was an aggressive pacer, but as leaders they are almost certainly the opposite. We are very hopeful, determined and optimistic to see Pakistan lift the 2011 Cricket World Cup and hence we run a page and post updates, provide information, quotes, stats and insights. We always want what is best for Pakistan Cricket and a conservative game plan is not the way forward. There are significant areas of concern and at times we have failed to really capitalise. Pakistan have a very good shout of winning this World Cup, especially after the great start. Therefore, it is of utmost importance they take full advantage of their strengths and opportunities which they are not doing at present, despite the positive outcomes. With a predictable and defensive strategy this could turn out to be a downfall down the line. Legendary cricketers like Imran Khan and Wasim Akram have been critically reinforcing the aforementioned points so if you disagree why don't you go and complain to the greats of your country as well who know the game inside out. In order to become a champion side bold measures have to be taken and this is a clear weakness of the current management and captain, the desire to win is there, but they are not doing themselves any favours. The team are doing well at the moment, but they could really set the intent, stamp their authorities and maximise effectiveness otherwise this could turn out to be a regrettable policy. In Afridi's last 15 matches prior to the World Cup he took 14 wickets at an average of 49! In 3 matches in the World Cup Afridi has taken 14 wickets at an average of 5.2! How things have changed so quickly and magically is hard to digest. Afridi is making his presence felt and establishing his reputation as a "big match player." From absolute mediocrity where his place was in question to absolute brilliance to take the world by storm at the mega event to capture the imagination and backing of the whole nation. Boom Boom, we salute you! Tomorrow South Africa take on England from Group B. All eyes on Imran Tahir. The Pakistani born leg spinner will be in action and so far he has already made an impact in this World Cup with 7 scalps in just 2 matches. He has all the variations and control and looks to be in good form and enjoying his cricket. Watch out for him. He could have a key part to play. England on the other hand, will be looking to bounce back hard following the upset against Ireland earlier in the week. The bowling and fielding standards must be lifted in order to stand a chance. Exactly after two weeks to start of much anticipated World Cup in Sub-Continent, tournament is still nicely poised with every team still has more than just a chance to improve on their first fortnight of the mega event, we had some ordinary one sided game, some heart racing thrillers and like always one or two upsets, but irrespective of all these things which had happened in last two weeks, certainly this World Cup has been able to live up to the huge hyper which was not the case last time around in the Caribbean four years ago. India stepped into the World Cup as clear favorites in every expert’s choice that too with some day light in them and others. With the batting talents they have in bank, they certainly deserved to be favorites. Seven butchers that they have right up to seven, they can easily tear apart any attack, and you have to think hard and long before thinking a better ODI batting line up. Bleeding blue was their motive before the start of show piece event; their batsman had been certainly thumping boundaries like monsoon here in Sub-Continent but bowlers have been bleeding boundaries like massive waves of great Indian Ocean. Bowling was always going to be a problem for men in blue but certainly Indian bowlers would not had have even in worst of night mares that has happened with them. All of sudden, experts have taken one step back in their predictions about India and they being favorites. Biggest problem they are having that they have no bowler to bank on, many might raise eye brows on this statements but that has been the case. Both Harbajan and Zaheer are over rated bowlers in ODIs, every one talk about them as if India have a McGrath and Warne in their team. Matter of fact is that teams milk Zaheer to 6 to 7 runs per over easily though the produces one or two unplayable deliveries in 10 overs but these one or two balls comes in between the plenty of boundary balls and Harbajan produces one or two match winning spells in a year, other than that spells he too goes for 5 to 6 runs per over easily without many wickets. To me, best bowler in this Indian squad is Ashwin, ironically he has not been given a match. I’m greatly impressed by this lad, he has lovely carom ball, which will not be easy to pick specially for non Sub-Continentals. He brings with him a variety factor in bowling line up, which is missing in this bowling line up, as all others are very one dimensional orthodox bowlers. Adding insult to injury to Indian bowling is using part timers to fill in overs of fifth bowler. Part timers like Yuvi can work in a match or a series but going with them regularly is playing with fire as India found in Bangluru. So what India can do now, best way to go will be playing another bowler in place of batsman, on form it looks as if Yuvi will be making way for that bowler whoever he is, there is not much difference of caliber between them i.e. medium pacers. Certainly, Indian batting is so strong that they can make up for one batter short because everyone in this line up is smoking the ball right up to Harbajan. This will make bowling little better, but expecting a miracle from this bowling line, one has to be living in fool’s paradise. 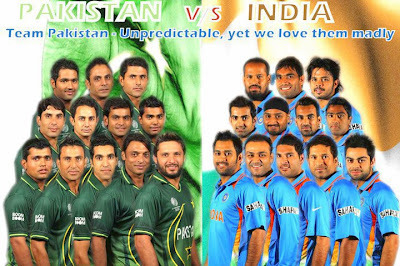 Quick change of tactics is required on the part of Indian think tank, surely batting is their strength and they should their put stronger aspect under pressure to come out in flying colors, so chasing would not be a bad idea either because as I said above hardly one can up with a better batting line up in history of ODI cricket of over 40 years. So they have ability to chase down whatever the opposition puts on board, at the moment this looks the best way of wining for Indians, otherwise even 400 cannot give batsman surety of winning with this bowling. Worries for India has shown us, how close sides are matched together matched for this World Cup, certainly a most comparative World Cup in modern times in cricket, which should be a great thing for cricket and specially ODIs. Just at the start of a big tournament always some people come up with many doubts about the format, its future, its fan following, these doubts take quite a dent by the end of these tournaments but they keep on coming back but I think this World Cup will surely kick all these doubts to grave once for all because ODIs are here to live.